Growing up in Southern California, I had the pleasure to be near The Arboretum in Arcadia. 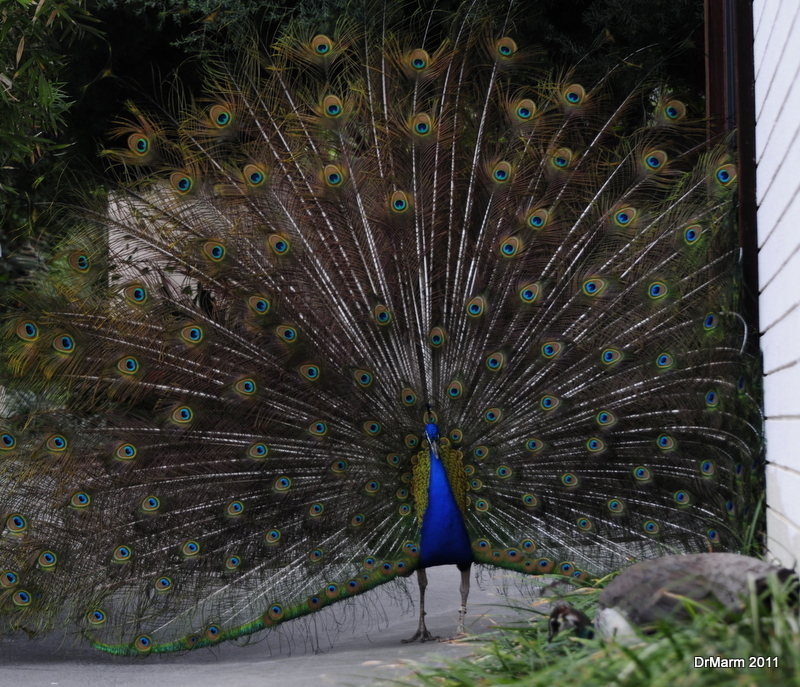 It is not unusual to see Peacocks strutting through the neighborhoods surrounding the Arboretum. 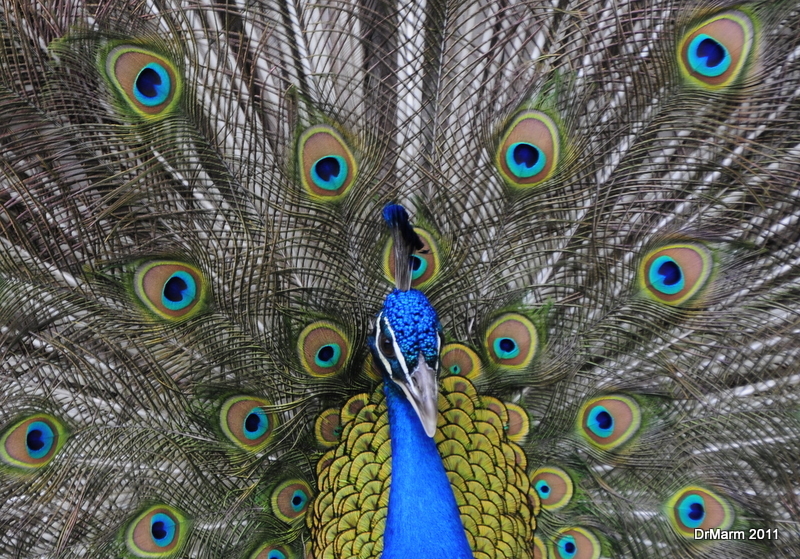 It was a treat on a recent visit to catch a male showing off for a nearby hen. For the record, she did not seem to be impressed…although it could have been the audience–maybe she was shy. 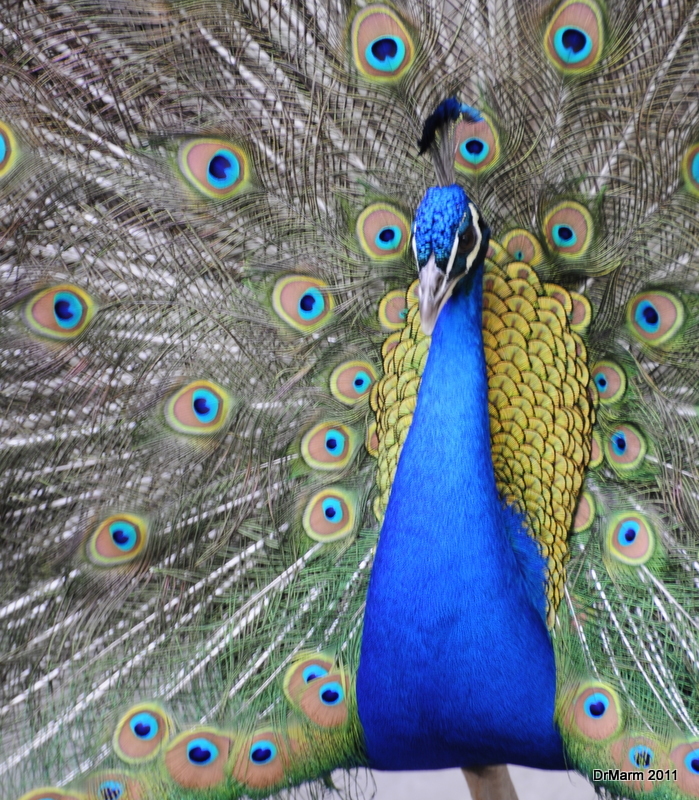 Here are a view shots of him showing off! 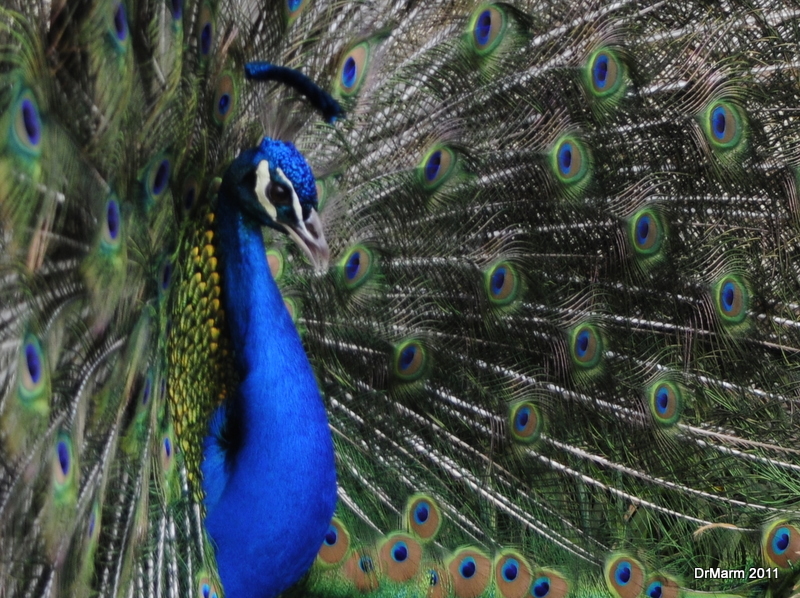 Another part of his show is the rattling of his feathers…do not remember hearing that before…was quite loud! This entry was posted on March 27, 2011 by DrMarm. It was filed under Uncategorized . Beautiful!!! 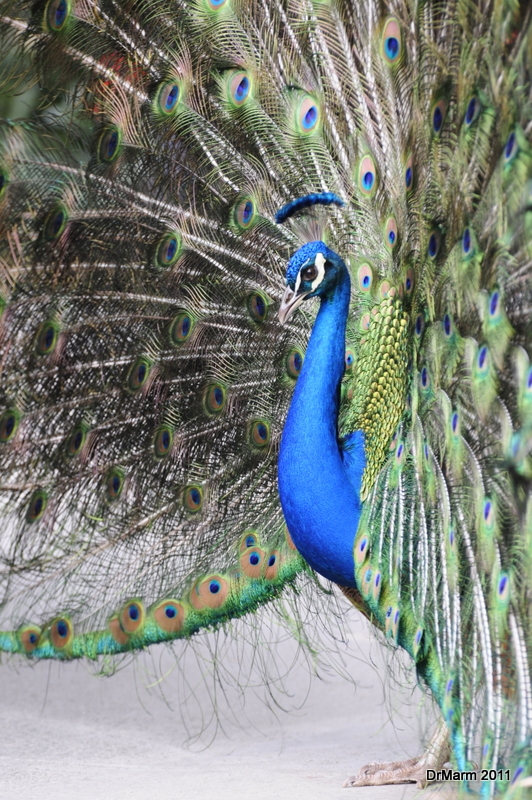 If I were to see a peacock showing off, I’d be so excited I’d never be able to think clearly enough to get all the right shots! Well done! He is beautiful! 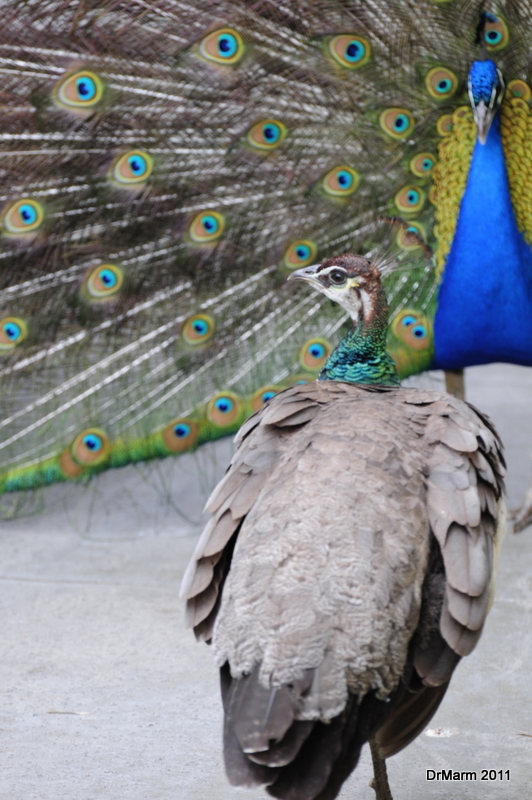 I’ve never seen one with this feathers out like that. Amazing! Absolutely gorgeous. 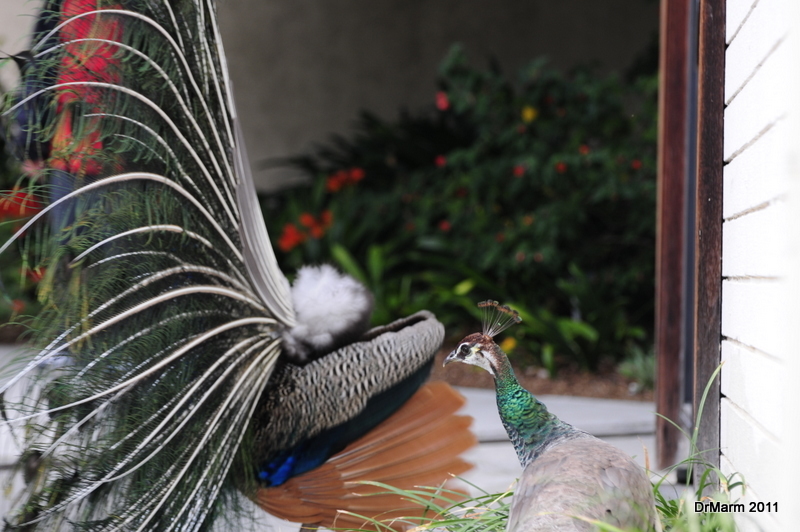 Didn’t realize their feathers were so full. Makes the ones at Daffodil Hill look like midgets!